Fall/winter (aka not when we went). We visited during the summer, which is rainy season. Albeit quite warm and humid, we noticed that it would only rain for a short time before the sun would come back out again. There was that one thunderstorm, but it was at night and we were sleeping with the shutters closed. Plus there weren’t too many tourists, and the prices were a “little” lower. Aside from the usual, be sure to bring cash and mosquito spray. A lot of places in town only accept cash, and we noticed most of the ATMs were out of order. Dollars suffice, though pesos are preferred. Rent a car. We regretted spending quite a bit of pesos for a taxi to take us to and from Puerto Vallarta (closet airport) and Sayulita. Unlike other cities in Mexico, these are not bus-friendly towns. How much are we talking taxi wise? Gulp… $150 roundtrip (an hour apart). 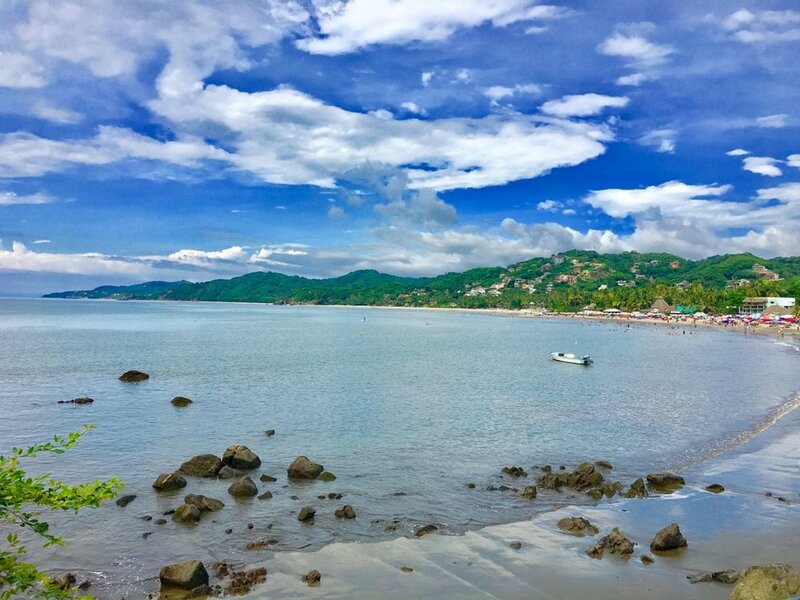 It was close to $100 roundtrip from Sayulita to the town of Punta de Mita (where our Isla Marietas tour took place), and they are only 30 minutes from one another. According to our taxi driver, the taxi companies want to keep it this way. Not having a viable bus system allows them to continue raking in the dough from tourists. I’m all about the economy in these areas getting a boost, but I can’t help but feel bad for the locals who are essentially stuck. 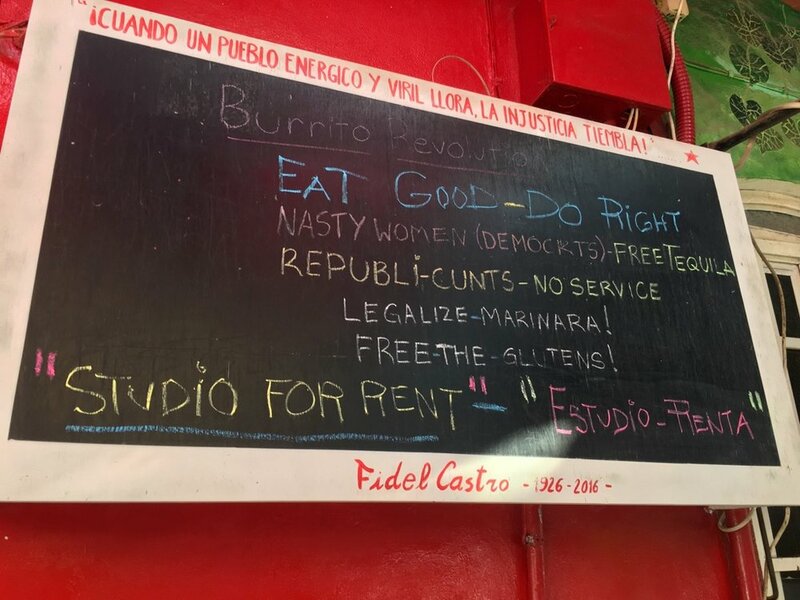 We did however speak to a backpacker who was able to take a bus from Puerto Vallarta to Punta de Mita for 25 pesos ($2.50); there just isn’t a convenient bus option to and from Sayulita. Did I mention renting a car? There is an array of Hotels and Airbnbs to stay in and more to come. Since our trip was pretty last minute, we decided to stay at Amor Boutique Hotel, located right on the beach and pretty close to town. The room we stayed in was extremely nice with a gorgeous view of the ocean. In addition, they provide complimentary water bottles, a candle to take home, free yoga in the morning, and free rentals of their SUP and surf boards. Miscelanea Sayulita Coffee Shop – Quaint and adorable, this coffee shop had just opened a month before our visit. It is located on the third floor of an apartment complex. There is no Wi-Fi, but you’re guaranteed perfection connection over coffee and board games. 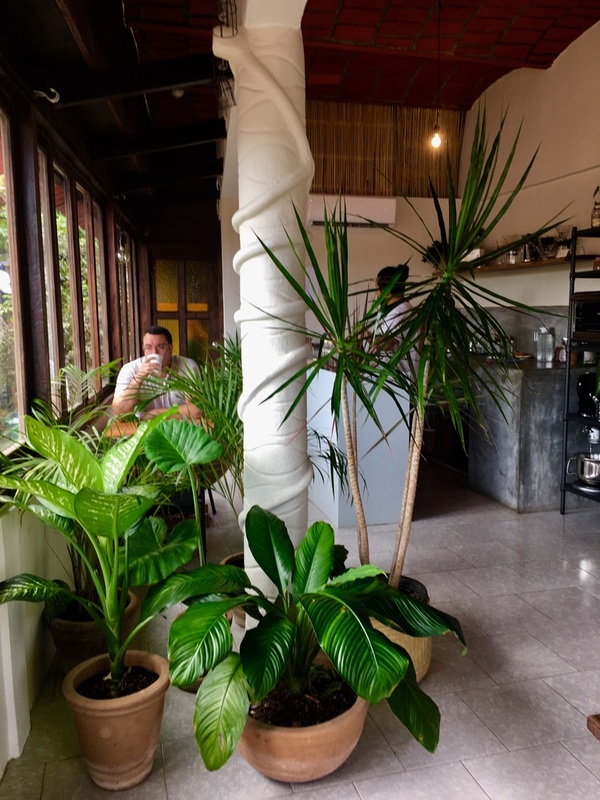 Yah-Yah Sayulita Coffee Shop – Hipster, comfortable and easily one of the best cafes in town. They have almond milk, gluten free pastries and gluten free breads, as well as vegan options. We enjoyed multiple iced lattes here and a tasty breakfast. La Esperanza Restaurant – Primarily a vegan/gluten free restaurant (some fish plates), and it’s amazing! The menu changes daily, but everything remains organic, fresh and delicious. We tried to return back for a second dosing, but they were closed. Mind you, they only accept cash and are on the pricier side. 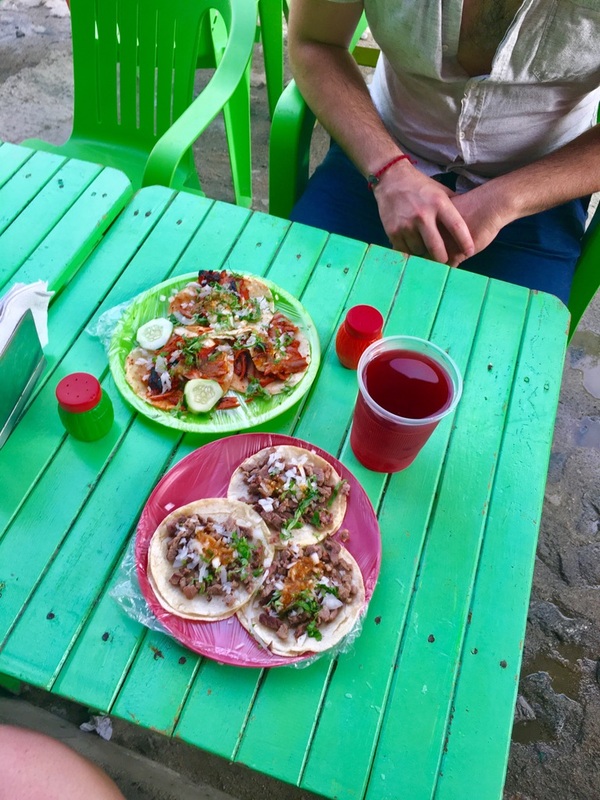 Tacos El Ivan – Delicioso! Our taxi driver told us to eat dinner here, and I am glad we followed his orders. These are street tacos at their finest, complete with plastic chairs to sit and watch the magic happen in front of your eyes. Again, cash only and only open in the evening. Terrenal Organic Food Store – In case you have a kitchen or want some snacks, this little shop is perfect for you. A variety of gluten-free and vegan staples await you. 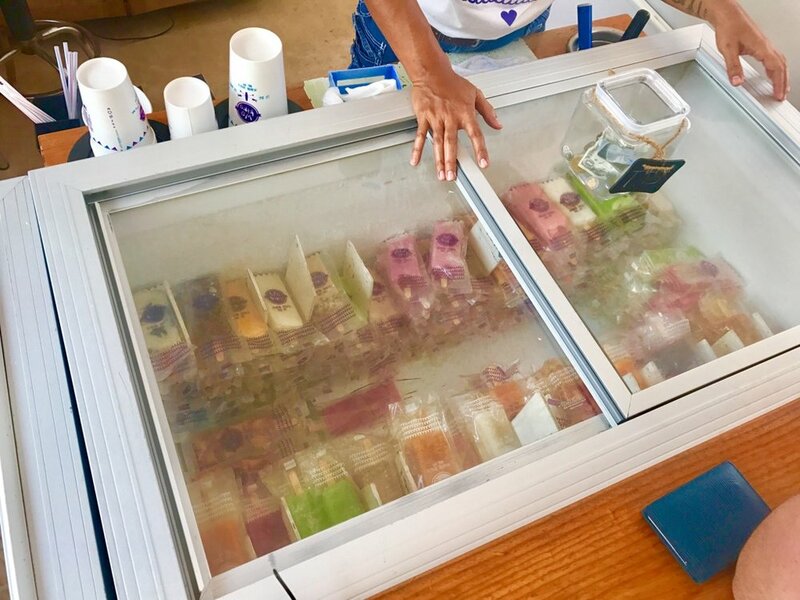 The Happiness Factory (homemade popsicles aka paletas) – Complete with over 20 different flavors and combinations of popsicles, either dairy or water based, and with or without sugar. Everyone wins, especially on a hot day. Sayulita Public House – A quaint three-story bar. They have quite the tequila menu, and even make their own whiskey! Where to Shop: You will have a wonderful time simply walking around town and checking out the little shops and galleries. The first thing you will notice are the pom poms and tassels EVERYWHERE. 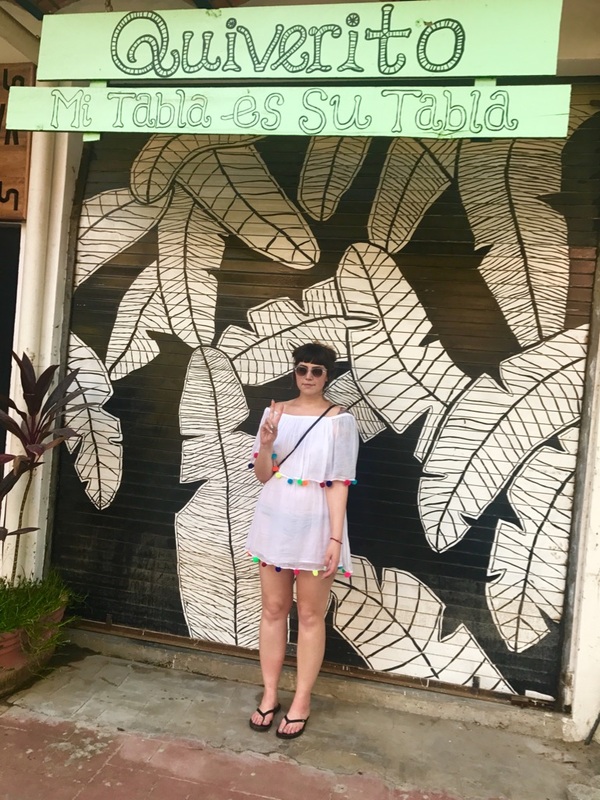 We were told that the colorful fuzzies were actually a trend from Columbia that took root in Sayulita, though we couldn't find any verification of that online. Farmer’s Market (Friday afternoons) – The weekly farmer’s market is complete with delicious tropical fruits and local crafts to purchase. Manyana – Hip surf shop and clothing store, with items designed by locals for both men and women. 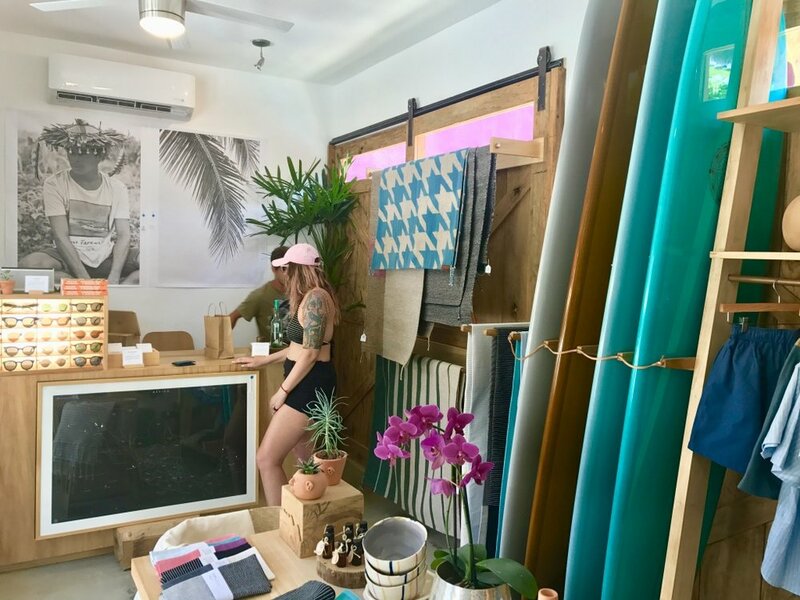 Mulalu – Another hip surf shop (yes, Sayulita is super hip), with boutique clothing items and accessories for both men and women. Could’ve and should’ve purchased a swimsuit from them. Oh wait, they have an online store! 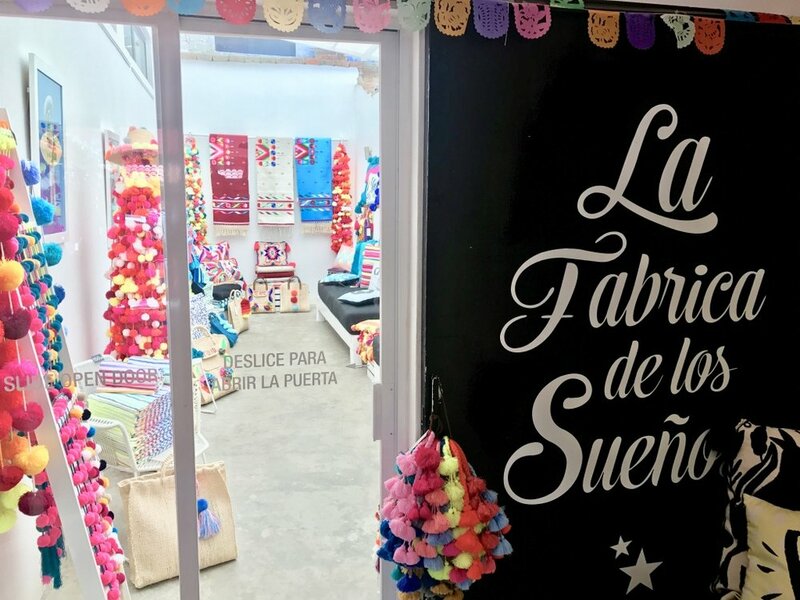 Revolucion del Sueno – Artisan shop where I purchased an adorable pom pom (had to) keychain. Evoke the Spirit – Yarn-painted skulls made by local Huichol natives, jewelry and hand-woven rugs. They also host workshops. Surfing/Paddle-boarding: Sayulita Beach is right in town and the place to set up your board meeting (lol). If where you’re staying doesn’t offer you equipment to rent, there are plenty of places on the beach to rent the ocean quintessentials. There is also the calm and less-crowded Los Muertos Beach on the South end, and Mal Pasos Beach on the North end. Islas Marietas – Saved the best for last. This is the main reason we visited Sayulita in the first place. The Islas Marietas are a small group of uninhabited islands off the coast of Nayarit. Akin to the Galapagos Islands, this national park is home to the Blue-footed Booby and is protected by the Mexican government, since it is an UNESCO reserve. These islands are also home to the famous and picturesque Hidden Beach (Islas Amor), which has been on my bucket list and Pinterest travel board (no shame) for years. It’s a sun-quenched crater only accessible at low-tide and via permit (116 visitors per day/five days a week). Lady luck was definitely on our side when we visited. 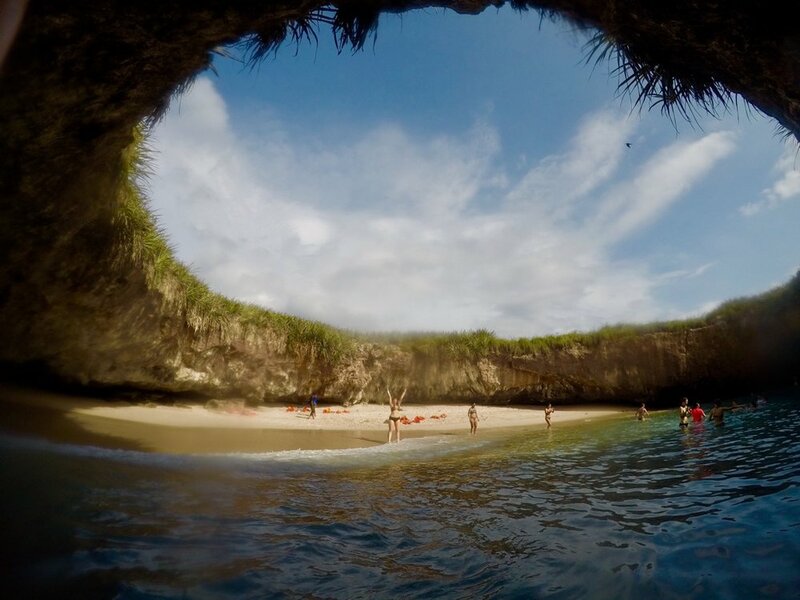 If you do your own research, you will find that although there are plenty of Islas Marietas tours (even right in Sayulita/less expensive), but none truly guarantee you will step foot on Hidden Beach. ...Although we paid more to guarantee a visit, and had to travel outside to Punta de Mita, I am glad we did. We went with Marietas Islands Tour, and paid $125 each for a three-hour snorkeling tour that started at 9 AM. We paid about two weeks in advance, since we had heard stories that these tours fill up quickly. Upon taking the boat to the islands, there were government officials who were checking our permits and wristbands and notified our tour guide of when our 30-minute window to swim into the beach would be. You are given both life jackets and helmets in order to swim into the beach. I didn’t find this to be a strenuous swim, but that might have been the adrenaline talking. Unfortunately, a couple from our group, who joined the tour last minute, weren’t able to enter due to the island reaching its capacity in visitors. So my recommendation is to save money by renting a car, or taking a bus, and using that to spend on a guaranteed reservation instead. Check out our Islas Marietas video HERE! Misc: Virtually everyone in town speaks English. I’m fluent in Spanish, and ended up speaking more English than I did Español. It’s truly a tourist town. Which also means it’s pricy. It is actually hands-down the priciest place I’ve visited in Mexico. So, keep that in mind when you are planning a trip here.